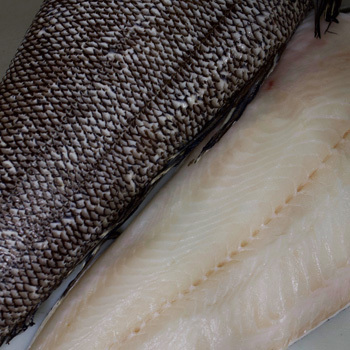 Pacific cod is sustainably managed and extremely popular among diners in the U.S. Wild-caught off the Alaskan waters, this firm, mild-tasting white fish is perfect for any menu. It’s easily accessible throughout the year, which is why so many restaurants in Buffalo and Western New York keep it on their menu year-round. The Pacific Cod Fishery was certified as sustainable by the Marine Stewardship Council in 2010. The high fat content in Chilean sea bass makes it very rich and moist, leaving it tender enough to melt in your mouth when prepared properly. It features a white flesh and breaks into large flakes once cooked. We make it easy for you to serve this tasty Pacific Ocean fish by working with local fish markets on the West Coast and shipping it back east. Cut fresh in-house to order. Whether you bake, broil, steam, poach, or grill halibut, it will maintain a firm texture that is flakier than what you would find with other fish, such as swordfish or tuna. Halibut is meaty and tender with a mild taste and doesn’t contain many bones. It pairs nicely with many sauces and marinades but can also be served as-is after being baked or grilled. 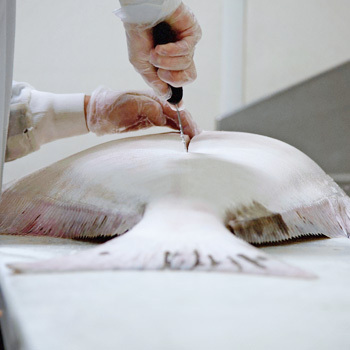 Schneider’s Seafood + Meats works directly with fish markets on the West Coast to ship fresh halibut back to restaurants in Buffalo and Western New York looking to add it to their menus. Provide the chefs and customers in your restaurant with the highest quality fish from the Pacific Ocean. 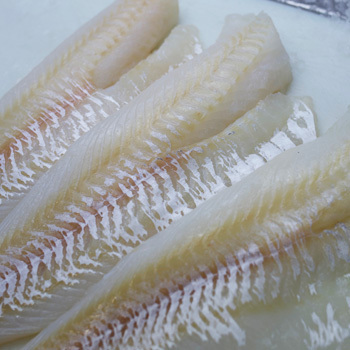 As a restaurant seafood supplier, we provide Western New York restaurants with the freshest Pacific Ocean fish, including cod fillets, Chilean sea bass fillets, wild salmon fillets and halibut fillets. Bay Scallops Dry 60/80 ct.